WordPress offers this photo challenge so, I thought I’d see how it goes. There is a theme given each week and you are invited to enter a photo related to it. So, here is a friend of mine creating a photograph. 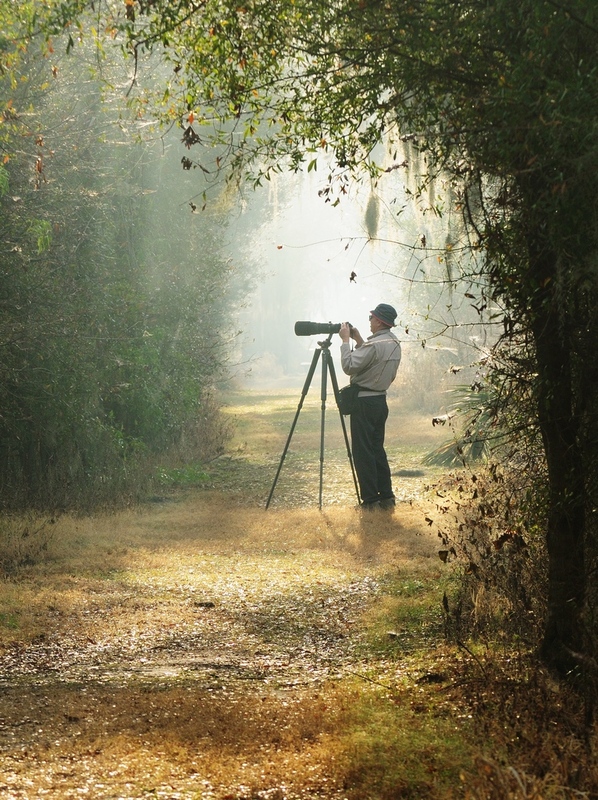 this was taken on a field trip to the Circle B Bar Preserve with the Photo Adventures Camera Club. This entry was posted in Photography, Wordpress Photo Challenge and tagged postaday. Bookmark the permalink.